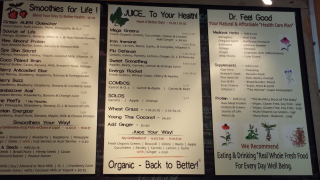 Siggy's Good Food is a one of a kind location where you meet healthy and organic with quick meals. This location is know for their healthy, organic, sustainable American meals that give that meet gluten-free and vegan diets. Siggy's Good Food provides a healthy boost of energy for when traveling around the hectic city.